There’s a first-of-its-kind study happening in West Michigan that hopes to determine if we’re throwing away money each time we haul the trash to the curb. Researchers are picking through landfills in Kent, Muskegon, and Ottawa counties, searching for recyclables that are getting tossed in the trash. Kristen Wieland is with the Kent County Department of Public Works, and she tells us that the Sustainable Business Forum has found some “very excited interns” from local universities to do the dirty work of picking through the samples of trash. Daniel Schoonmaker, director of the West Michigan Sustainable Business Forum, explains that the search involves hauling in and sorting through samples of trash. Wieland tells us that they don’t expect to be surprised by the findings. Michigan has around a 15% residential recycling rate, about half that of other Great Lake states. 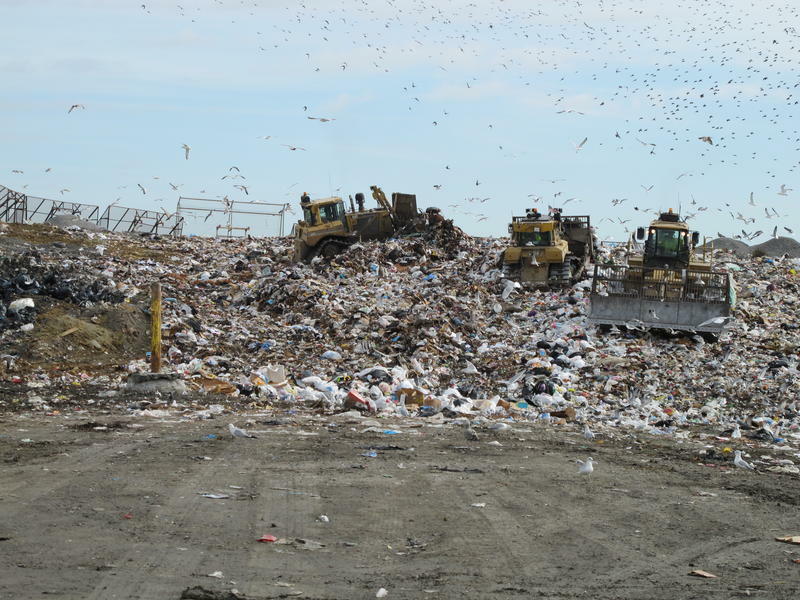 There are any number of factors that contribute to that, but Wieland tells us that one big piece of the puzzle is that Michigan’s low tipping fee, how much it costs companies to dump trash in landfills, is relatively low when compared to the rest of the country. 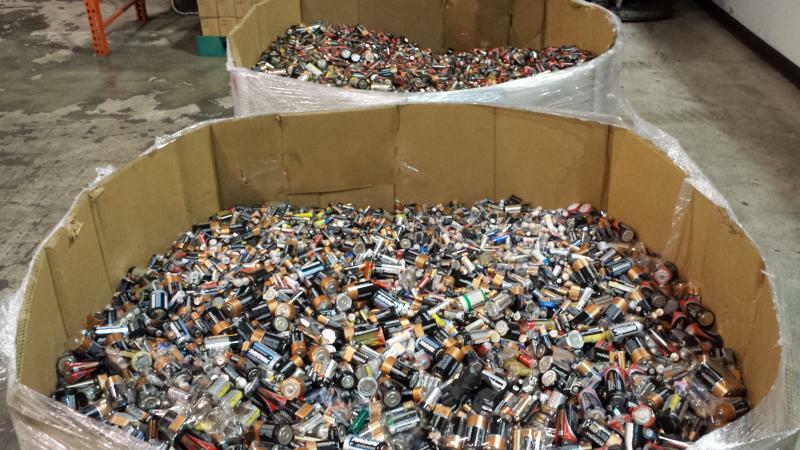 “It’s just more cost effective to throw it away than it is to recycle it,” Schoonmaker says. Wieland looks to Grand Rapids for a unique example of how to handle trash and recycling. She explains that Grand Rapids utilizes a “pay as you throw” model, only requiring residents to pay for trash collection when they actually put out the trash. She says the idea is to incentivize residents to recycle more frequently and more carefully so that they will have to put trash out for collection less often. Schoonmaker expects that as this study continues, they will gather the kind of data needed to take the conversation to the next level. 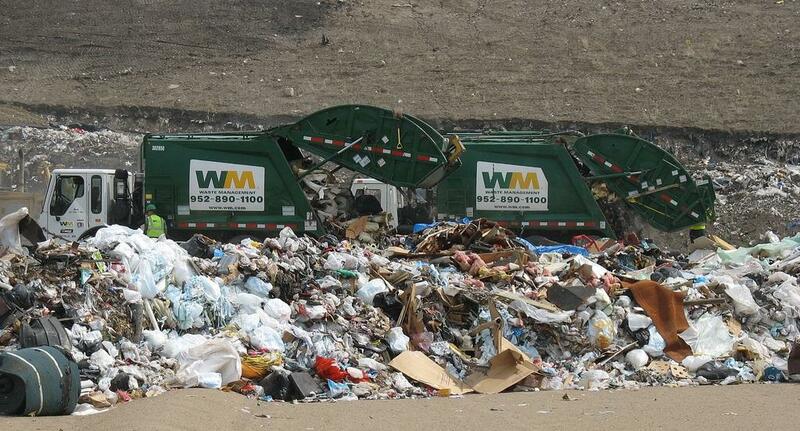 The amount of waste sent to Michigan landfills jumped by 4.7% last year - following a ten-year decline. That's according to a recent report by the Michigan Department of Environmental Quality. MDEQ spokesperson Karen Tommasulo said every year Michiganders send $435 million of recyclable materials to the dump. "We currently have one of the lower recycling rates in the Great Lakes area," said Tommasulo. "Only about 15 percent of our residential waste is recycled." Gov. Rick Snyder rolled out a new statewide recycling plan today in hopes of convincing more of us to recycle. The governor and recycling activists say we can do a lot better when it comes to recycling. 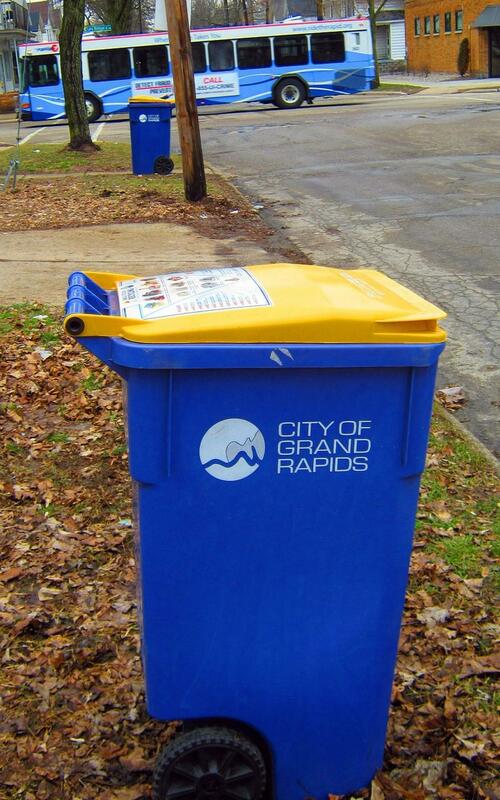 Right now, Michigan recycles about 15% of all reusable materials. That's way below the national average of 35%. And Michigan is seventh among the eight Great Lakes states in its recycling performance. What are we losing by throwing out all that glass, plastic, metal and paper? And what's in the governor's plan to get us to recycle these materials? We were joined by Kerrin O'Brien, executive director of the Michigan Recycling Coalition.